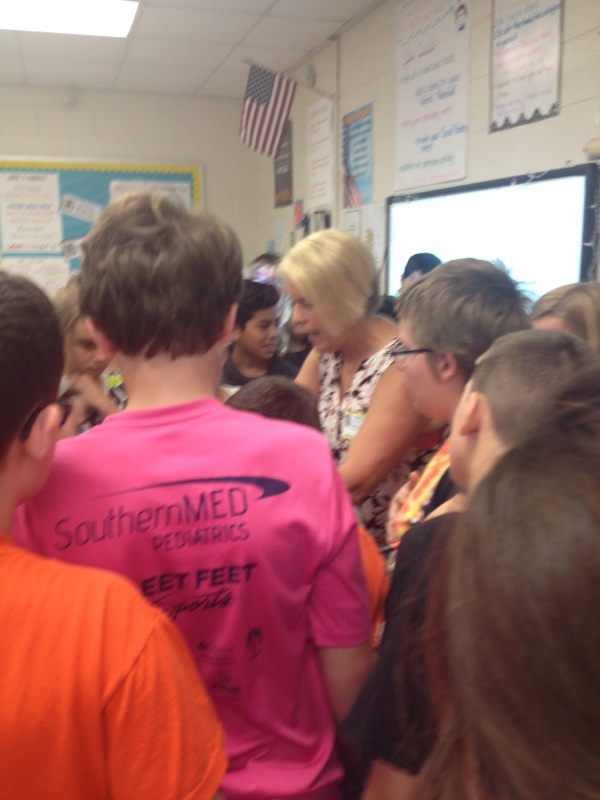 Two 5th grade teachers from Gilbert Elementary School who serve on their Green Steps Schools Green Team invited Sheri Armstrong, Lexington County Stormwater Manager and LCSC member to do a demonstration of how to make a rain barrel. 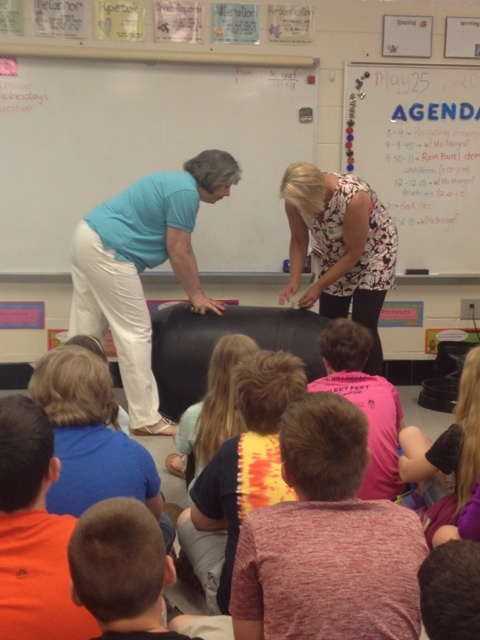 On May 25th, 2016, Ms. Armstrong and the Stormwater Outreach Assistant, Mary Hite, had a lot of fun showing the two combined 5th grade classes and their teachers how easy it is to turn a giant pickle barrel into a rain barrel with the use of a few hand tools and hardware. During the demonstration, Ms. Armstrong explained how using a rain barrel helps to keep our waterways cleaner while having available free water for gardening, cleaning or any use except drinking. It was especially rewarding to see lots of hands raised to answer questions and to ask some as well. Students gathered around to get a closer look at the barrel that will collect water at their school to help reduce some stormwater pollutants from entering a waterway near the school as well as to provide a source of water. The teachers helped their school to become a bit “greener” with the addition of a rain barrel, and had an activity to report for their participation in the Green Steps School program, an outreach of SONOCO Recycling. Students get a closer look at finished rain barrel.